The huge financial waste of Scotland’s 34,000 long-term empty homes has been exposed by a body tasked with bringing them back into use. The Scottish Empty Homes Partnership (SEHP) calculates that the owners of the country’s 34,000 empty homes are losing out on an average of £7,500 a year or a total of £255 million. The losses come from a combination of rent that could have been charged and the bills for council tax, insurance and security that still have to be paid on empty buildings. Meanwhile local economies are missing out on almost half a billion pounds because the homes lie empty with no-one in them to spend in their locality. On average each household contributes £13,000 of value to their local community which the SEHP says could be creating and sustaining livelihoods. 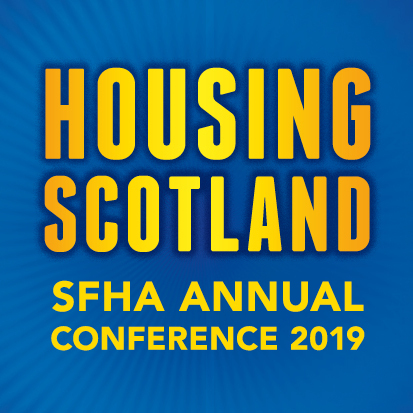 The SEHP holds its annual conference at the Macdonald Holyrood Hotel Edinburgh today, (Tuesday 15 November) bringing together empty homes officers and other housing professionals to share success stories and tackle the latest challenges. Run by housing and homelessness charity Shelter Scotland and funded by the Scottish Government, the SEHP says that owners are missing out if they don’t make the most of their assets which also have the potential to play a role in housing people badly in need of affordable homes. It also wants more local councils to recognise the value to the economy of tackling empty homes. “It doesn’t make sense for people to leave a property sitting empty when it could be bringing in money for them and providing a home for someone who needs one. “I hope these figures encourage people with an empty property to get in touch with us or an empty homes officer at their local council to get advice on how to bring it back into use. Since the creation of the SEHP in 2010 it has helped to bring more than 2,066 homes back into use. A change to the rules on council tax mean discounts can be abolished and local authorities are now able to charge up to 200% on a property which has been allowed to lie empty long term. This means £5 million has been generated in extra council tax to fund local services. Speaking at the conference will be ex-Buzzcocks drummer turned professional photographer, John Maher, who has exhibited photographs of abandoned crofts on Harris, and Scottish Government Minister for Local Government and Housing Kevin Stewart MSP. “Empty homes are a blight on both urban and rural communities which is why the Scottish Government supports the work of the Scottish Empty Homes Partnership to deliver real results on the ground. “The Scottish Government has provided dedicated funding to tackle empty homes, including the £4.5 million Empty Homes Loan Fund and the £4 million Town Centre Empty Homes Fund. The new £25 million Rural Housing Fund and £5 million Islands Housing Fund were launched this year, and we are seeing significant interest from empty homes projects across rural Scotland. The conference will also include the Howdens Scottish Empty Homes Awards which recognises those individuals and groups that have had significant achievements. The SEHP runs a free national helpline for members of the public to report empty homes and for owners to seek help in renovating their properties. Advice is also available about local financial incentives – available in over 20 local authority areas – to bring empty homes back into use. Members of the public and owners of empty homes can contact 0344 515 1941 or emptyhomes@shelter.org.uk for advice.